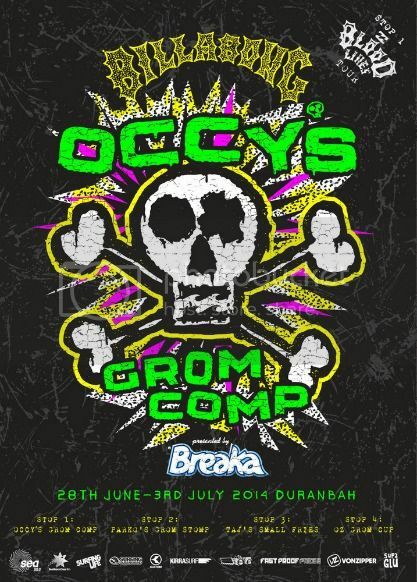 2014 Billabong Occy’s Grom Comp runs June 28 to July 3 at D'Bah on the Goldy. A huge crew of Le-Ba groms and their families are heading up for the event.Good luck grubs. Not a great day for Le-Ba at the Occy today with all our U12 boys eliminated in dismal windy conditions. Mikey McDonagh was the only Le-Ba surfer up today. Mikey finished 2nd and moved into round 2. Mikey McDonagh surfed well to make it through his round 2 heat but unfortunately he was eliminated in the Quarters in small offshore waves at D'Bah. Luke Condon was the only Le-Ba grom to survive today in the U16's . Luke surfs next in round 3 on Wednesday.